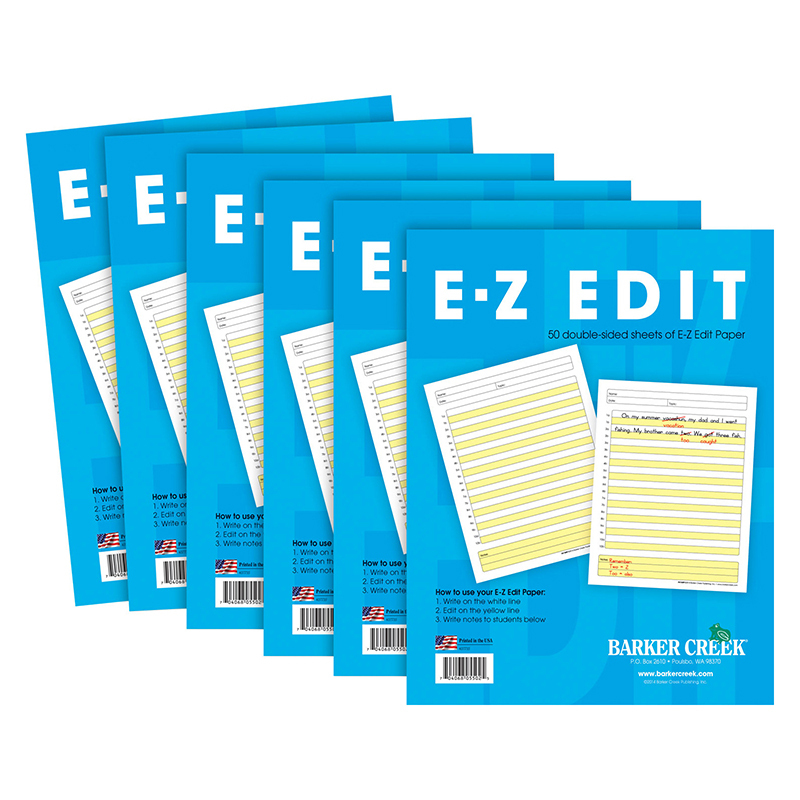 Each sheet of paper measures 8.5" x 11"
Save by buying our popular E-Z Edit™ Paper in this 6-Pack! We are very excited to introduce our new E-Z Edit™ Paper. Designed by a professional journalist, E-Z Edit™ makes it easy to help students strengthen their writing skills. You'll receive a total of 300 double-sided sheets of E-Z Edit™ paper which have alternating white and yellow lines. The students write on the white lines, the "editors" (teachers, parents, fellow students, etc.) make their corrections and comments on the yellow lines. There is a yellow box on the bottom of each page for detailed explanations, spelling reminders and other helpful tips. And, because the lines are numbered, it's easy to reference a comment back to a specific sentence on the page.